Comstock has submitted its site plan for the redevelopment of downtown Herndon following appeals filed by nearby residents and property owners. 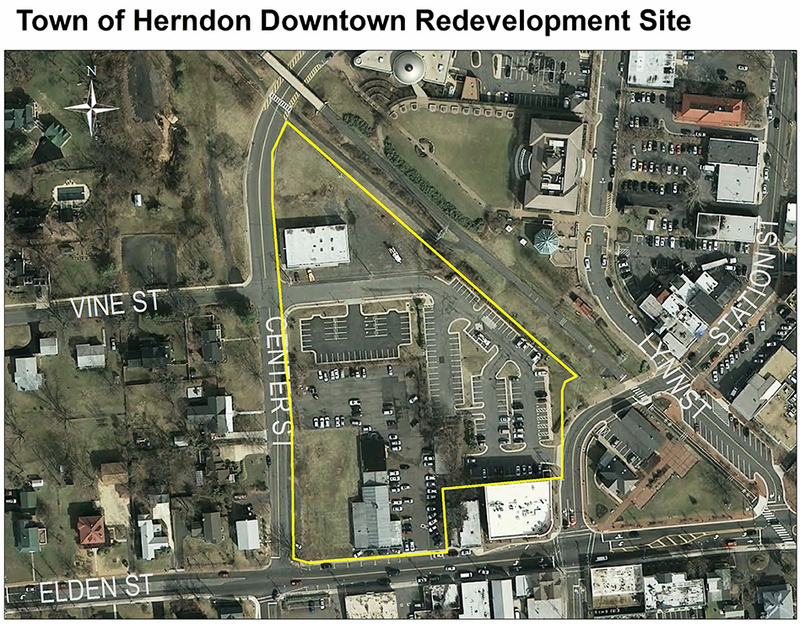 The plan, which was submitted to the Town of Herndon, is under review by the Department of Public Works, the Department of Community Development and the Fairfax County Fire Marshall, according to a memo by William Ashton II, the town’s manager. Town officials are expected to review the plan to ensure it meets engineering, stormwater management, and zoning regulations, professors and code requirements. Bond and escrow amounts will also be assessed. Once the site plan is reviewed by staff, the plan will head to the Heritage Preservation Review Board to receive an approval for a Certificate of Appropriateness. Over the summer, Comstock’s plan hit a hurdle at this phase in the process when nearby residents and citizens filed appeals against the project. As a result, Comstock resubmitted its plan. The appeals and resubmission do not affect last year’s agreement between the town of Comstock for the redevelopment project. The agreement calls on Comstock to provide a 339-space parking garage, basic infrastructure for a downtown arts center, and a $505,000 recreation proffer. Meeting dates for the HRPB review have not yet been determined.